The event will be held from noon-2 p.m. in the Morris University Center’s International Room on SIUE’s campus, and will feature a networking lunch, followed by a roundtable discussion. There is no cost to attend, but registration is required at international-trade-center@siue.edu. Reservations will be accepted through July 14, or until seats are filled. Trade missions are about opening doors for businesses and entrepreneurs and developing long-term opportunities in foreign markets. Participants will be provided an exclusive first look at the new proposed list of trade shows and missions for 2017-18, sponsored by the Illinois Office of Trade and Investment. These shows cover various industries, relevant to the region. According to Torres Bowman, the roundtable discussion will offer updates on Illinois State Trade and Export Promotion Program (ISTEP) funding, including how regional companies can take full advantage of the program which assists Illinois businesses to cover major expenses associated with international travel, participation in trade shows/missions, marketing, research and product compliance. The ISTEP program offers between 50 to 75 percent cost reimbursement on pre-approved eligible international activities for Illinois small to medium sized businesses. More details are available at siue.edu/business/itc/istep. For more information about how to do business globally and how to benefit from the Southwestern Illinois Trade & Investment Council, contact the International Trade Center at International-Trade-Center@siue.edu, (618) 650-3851 or by visiting siue.edu/business/itc. The International Trade Center at SIUE serves businesses in Southwestern Illinois by providing individualized, no-cost export consultation, identification of foreign buyers, agents and/or distributors through trade leads, international market analysis, and more. The ITC is funded in part by the U.S. Small Business Administration, the Illinois Department of Commerce and Economic Opportunity (DCEO) and Southern Illinois University Edwardsville. It has a longtime partnership with the Illinois Office of Trade and Investment (OTI), which maintains a full-time staff of both foreign and domestic-based international trade and marketing experts. OTI also manages 10 foreign trade offices located in Belgium, Japan, Hong Kong, Mainland China, Mexico, Canada, Israel, India, Brazil and South Africa. 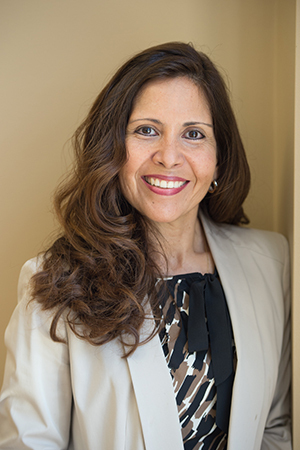 Photo: Silvia Torres Bowman, director of the Illinois ITC.